In Great Britain (England, Wales, and Scotland), censuses were taken every ten years. Though they began in 1801, early censuses were taken for statistical purposes only and did not record any names. Beginning in 1841, censuses recorded every member of every household. Censuses were taken at the same time for the Channel Islands and the Isle of Man, both of which are Crown Dependencies. Censuses in Ireland were also taken every ten years, beginning in 1821. Unfortunately, nearly all Ireland census records from 1821 to 1891 were destroyed (either intentionally or by accident). Thus, the 1901 Ireland census is the earliest complete census for the island. 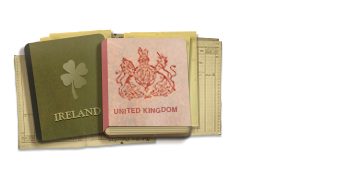 This collection includes every census from 1841 to 1901 for England, Wales, the Channel Islands, and the Isle of Man, as well as the 1901 and 1911 censuses of Ireland. Extracts from the Scotland 1841, 1851, and 1861 censuses are also included.